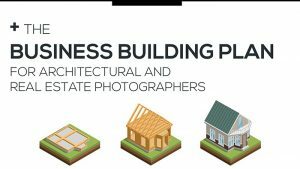 Building a photography and virtual tour business starts with a business plan. It might help to think of the structure of this plan the same way you would the building of a house. You work in stages, and that’s because there are some things you cannot do until you’ve done the other things first. For example; you start by building a foundation and these are the basics that you must have in place before you can move on. 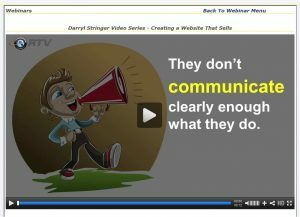 In this webinar, we’ll call Stage 1 in our plan The Foundation, since we need to have a strong platform upon which to build the rest the photography and virtual tour business. If we miss any of this, or if we don’t build our foundation well enough, then the rest of what we do on top of that will be much weaker. Stage 2 in the building plan for a business is where we add a little more structure to the business, and we’ll call this stage The Frame. The things we do during this stage will help us get more clients and increase our revenue, building further upon The Foundation. Once again we need to complete Stage 2 before we can move on to Stage 3, which we’ll call The Fitout, and that’s where we add the bricks, the doors, the windows and the furniture. 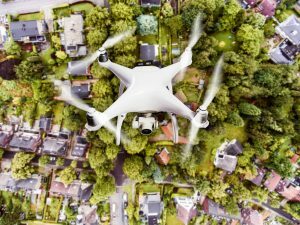 Stage 3 is where we are fitting it out with the luxury features such as RTV’s robust virtual tour software or aerial drone services that help take us up a level in terms of quality and service offerings. After all, every home has a foundation and a frame, but it’s in the fitout where we separate the good home from the amazing home, and it’s the same with your business. What’s important here is to understand the need to do some things first, and not to start trying to add a beautiful staircase and huge windows before we’ve got our foundation built. If that foundation or that frame is incomplete then these Stage 2 and 3 activities won’t be as effective as they would otherwise be, and you could seriously harm your reputation. 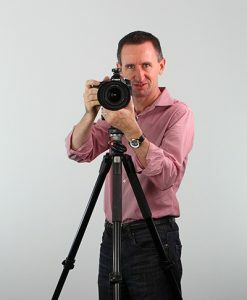 Our presenter for this webinar is Darryl Stringer, creator and founder of The Real Estate Photography System. 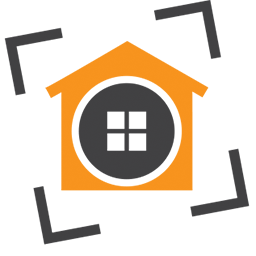 Darryl started in real estate photography in 1998 and built a successful business in Brisbane, Australia, photographing billions of dollars worth of commercial and residential buildings. Today he helps photographers and virtual tour providers across the USA, Australia, Canada and Europe get more clients and build more profitable businesses. We hope you can join us on Tuesday, Sept 12th at 7:00 pm EST. You will be glad you did. Please visit our webinar information page to register. RTV's Tour Track national photography service had a banner 2015. We were able to assign hundreds of jobs to our photography network and 2016 is already off to a great start. We are excited to announce there are some changes coming to how we will ask our photographers to complete and deliver their orders. Many of our photographers have already completed shoots using our new shoot & deliver method. If you haven't received one of these jobs yet, your next order will likely be a bit different than how you have operated before. Our aim is to provide a more consistent quality and look to our national clients. As you know, if you give 100 photographers a subject to shoot you will get 100 different results. The same is true for post processing methods. Our new photography workflow will not only help us achieve a consistent product, but it will save our photographers a lot of time in post processing. Our hope is that our photographers will have more time to spend working on their own photography businesses as well as spending time with family. In many cases they will be receiving higher payments for less work as well! More pay for less work? Sign me up! On Tuesday, March 1st at 7:00 pm we will be hosting a webinar to discuss all of the exciting new changes and what they mean to you. Whether you are a Tour Track veteran or have never picked up a photography job from RTV you will want to be sure to join us. You will learn how the new process works and if you haven't been a part of Tour Track you will learn how you can be assigned paid photography assignments as well. Be sure to sign up right away. We look forward to seeing you there! Click here to sign up for our live webinar Tuesday, March 1st.